About US Dependable Exterminating, we specialize in all types of insects and rodent control including; Bed Bugs, Termites, Ants, Cockroaches, Spiders, Stink Bugs, Stored Product Pests, Fleas, Flies, Fabric Pests, Mice, Rats, & others. Let Us be your Pest Control Company you rely on, Call Today. 1-844-305-8999. Dependable Exterminating is a family owned pest control company established in 1985 by Siegfried Gruen. 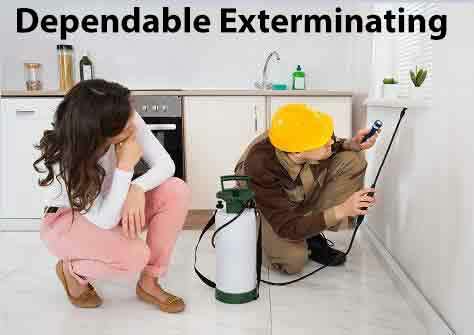 He founded Dependable Exterminating after 32 years working in the industry since 1954. He used his experience and wisdom to build a company that always puts the customer's needs first, creating a family-owned business that has thrived for over 32 years. Today, the company is Co-owned and managed by Kenneth Vanderoef. He has continued Siegie’s mission that he started 32 years ago, by providing honesty, integrity, and professionalism to all clients. Great customer service paired with up-to-date and efficient technology has provided Dependable Exterminating with the tools to become one of New York’s finest pest control companies. Siegie’s mission statement from day one was to provide our clients with 100% Customer Satisfaction and we are proud to live up to that standard today! Dependable Exterminating specializes in all types of insect and rodent control including; Bed Bugs, Termites, Ants, Bee's, Cockroaches, Spiders, Stink Bugs, Stored Product Pests, Fleas, Flies, Fabric Pests, Mice, Rats, and other miscellaneous pests! We also provide animal control for birds and wildlife. We utilize Integrated Pest Management (IPM) methods as well as offer the Industry’s best green pest control solutions using environmentally friendly pest control products that have a low impact on the environment and at the same time protect the health of our clients and their properties. At Dependable Exterminating we also offer Pigeon Removal Services, Skunk Removal Services, Raccoon Removal Services, Groundhog Removal Services and Squirrel Removal Services. 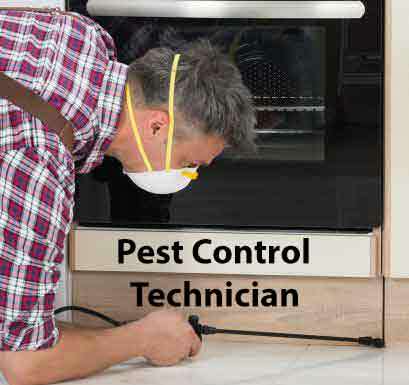 All of our Pest Control NYC Technicians are New York State Certified. We service the five boroughs of New York NY, including Westchester County NY, Rockland County NY, New York County NY and Orange County NY. Let us be the pest control company you can depend on. Give Us A Call Today. 1-844-305-8999.